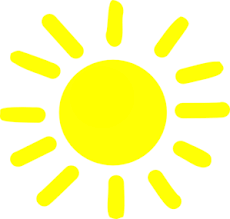 It’s the season we’ve all been waiting for …Summer, Summer, Summertime! While we’re all excited about the beach parties, hikes, and all other exhilarating activities summer has to offer, it’s almost impossible to avoid the annoying summer related hair worries! 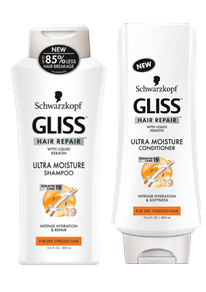 Whether your issue is the high humidity levels or hair breakage caused by chlorine and salt water, Schwarzkopf GLISS, Schwarzkopf göt2b, and Live Clean has the fix for you. 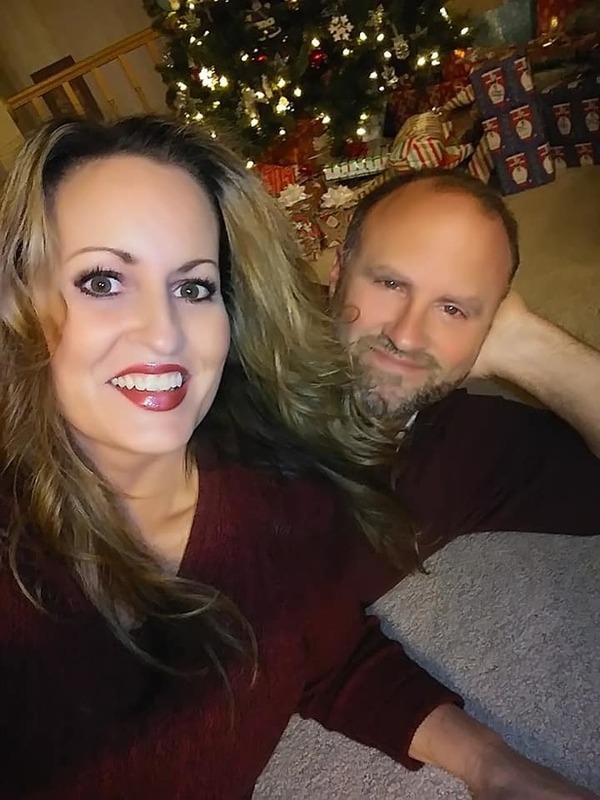 Stress no more! This volumizing spray immediately locks in volume with enough hold for that drama that you crave. 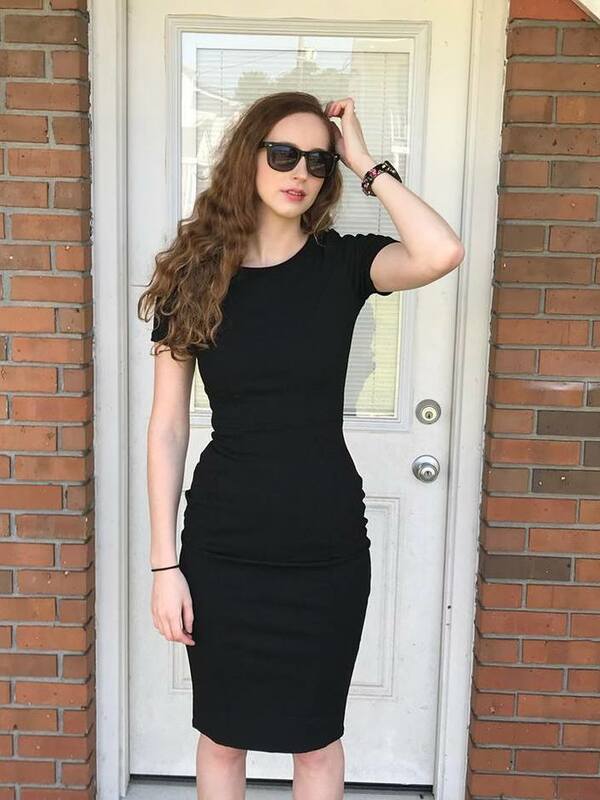 How to use: Hold 8-10 inches from hair. Spray evenly over hair for an all over hold or spot spray and use hands to create extra volume. Re-spray after styling to hold dry finished style. Infused with polymer complex and flex agent technology that provide a natural high hold with elasticity. How to use: Shake well before use. Pump a fluffy dollop into hand and distribute evenly through damp hair. Blow dry or style as usual. 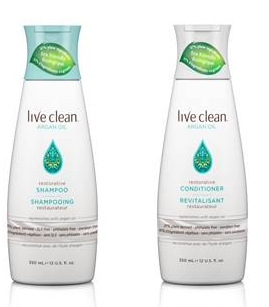 Live Clean® Argan Oil Restorative Shampoo gently cleanses while restoring natural luster. Enriched with 100% pure Argan Oil, certified organic Grape Seed, and Olive oils for enhanced long term conditioning and shine. Live Clean® Argan Oil Restorative Conditioner hydrates and nourishes without adding any excess weight. Enriched with 100% pure Argan Oil, certified organic Grape Seed, and Olive oils for enhanced long term conditioning and shine. Heavily damaged hair loses Keratin resulting in a severely weakened hair structure. It requires extreme repair to recover. GLISS™ Ultimate Repair Express Repair™ Conditioner uses a high-performance formula with 3X liquid Keratin to precisely repair damaged hair and replaces lost Keratin leaving your hair restored and combatable. Daily stress can dry out your hair until it reaches a breaking point. It needs deep repair from the inside and surface reconstruction from the outside. GLISS™ Ultra Moisture Express Repair™ Conditioner contains a special complex with Keratine Care-19 Complex and leaves your hair touchably soft. Heavily damaged hair loses Keratin resulting in a severely weakened hair structure. It requires extreme repair to recover. 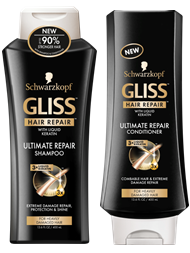 GLISS™ Ultimate Repair Shampoo & Conditioner uses a high-performance formula with 3X liquid Keratin to precisely repair damaged hair and replaces lost Keratin leaving your hair restored and combable. Schwarzkopf Stylist Tip: Your hair behaves like a sponge, if you squeeze the excess water from your hair prior to applying conditioner, your hair will better absorb the nutrients from the conditioner. Daily stress can dry out your hair until it reaches a breaking point. It needs deep repair from the inside and surface reconstruction from the outside. GLISS™ Ultra Moisture Shampoo & Conditioner is a creamy lathering shampoo formula that contains a special complex with Keratin Care-19 Complex and deeply repairs your hair for soft, healthy-looking hair and significantly less hair breakage. 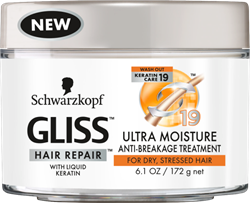 GLISS™ Ultra Moisture Anti-Breakage Treatment contains a special complex of Keratin Care-19 Complex and penetrates deep into your hair for softness and shine, with up to 95% less hair breakage. Every color-addict knows that maintaining salon-quality color-treated hair is a full time job. When frequent hair-washing causes color to dull or fade, the first step to caring for your color-treated hair begins in the shower. 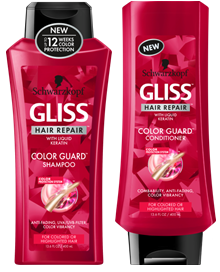 Specifically developed for colored and highlighted hair, GLISS™ Color Guard™ Shampoo and Conditioner protects, strengthens, and locks-in color, ensuring luminous shine and brighter color. 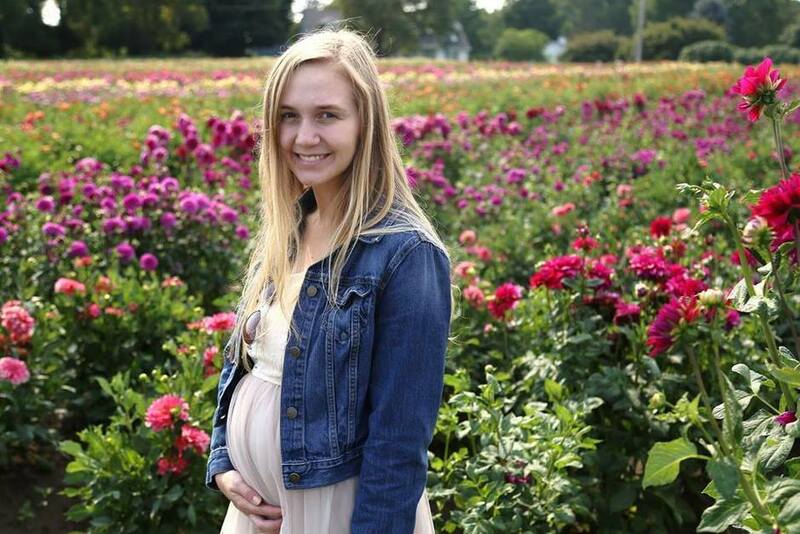 Through frequent hair-washing, colored, tinted or highlighted hair loses its color. 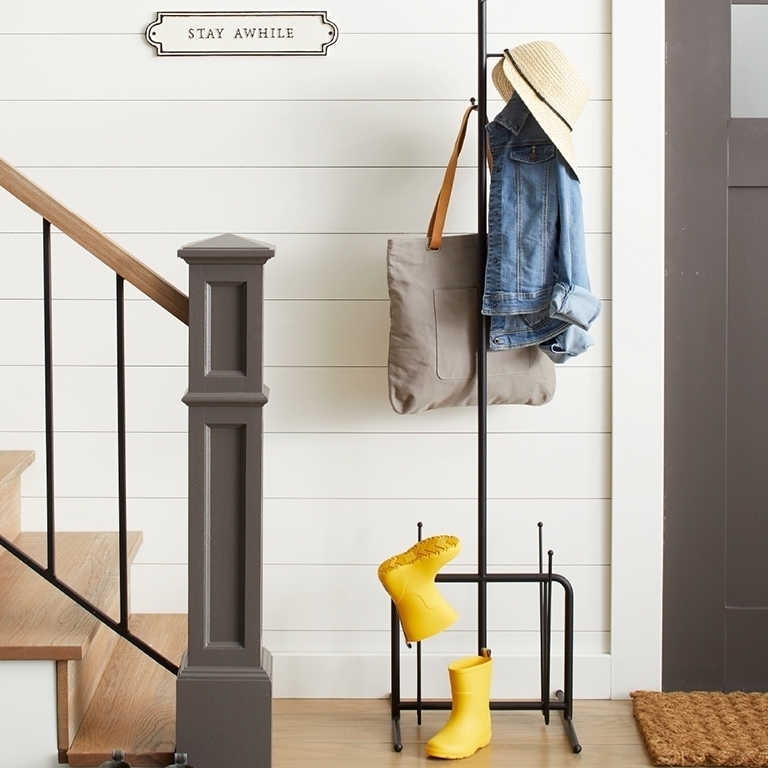 It needs special protection to retain its intense color and luminance. Gliss Cover Guard Leave-In Conditioner provides instant combable hair and color protection up to 12 weeks.